Our cake decorators have been busy designing and creating new cake designs for the new year. Here are a couple of their new creations for 2015! 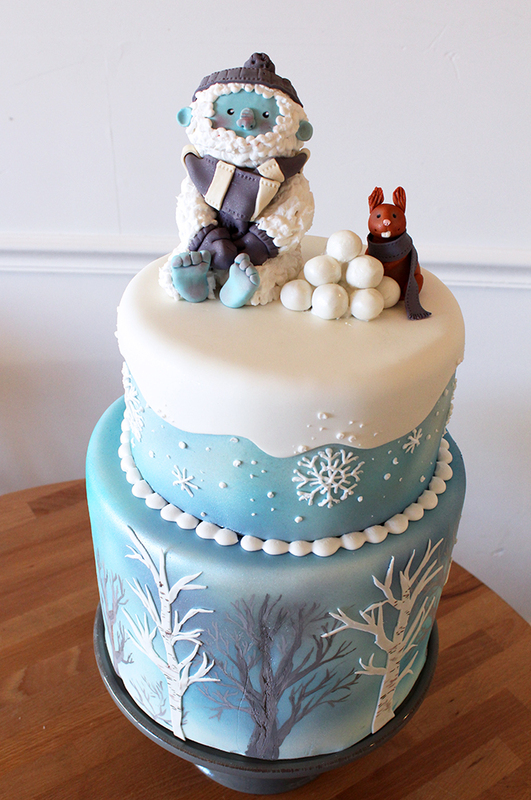 Our senior cake decorator Krystle’s favorite season is the transition between Winter and Spring. Here is her 3-tiered interpretation of her favorite time of year. 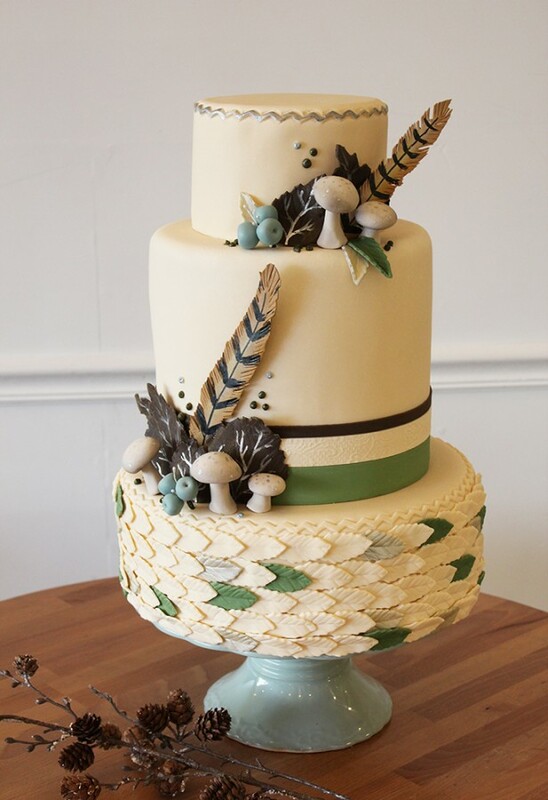 All the woodsy, forest decorations including mushrooms, berries, leaves and feathers are all handmade using fondant and gumpaste. Silver accents on the crimping trim and leaves are added for extra classiness to an otherwise rustic theme. Our other cake decorator Michelle, also an artist and illustrator, created a couple new whimsical characters all her own. The Yetti and his buddy all bundled up for a wintertime snowball fight. They are also made of fondant and gumpaste. The wintery scene is a combination of airbrushing and hand-painting.